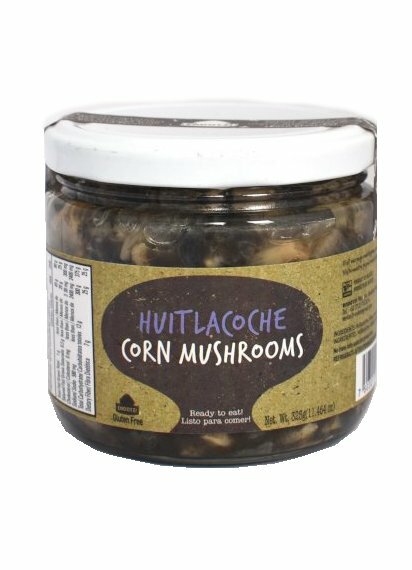 Known as the aztec caviar or mexican truffle, the huitlacoche is a maize mushroom that appears on ears of corn after a heavy rain or period of high moisture. It has a long history in the cuisine of Aztecs and it is considered a culinary delicacy. The huitlacoche is a key ingredient in traditional mexican recipes. A great combination of ingredients ready to serve or for preparing exotic dishes.